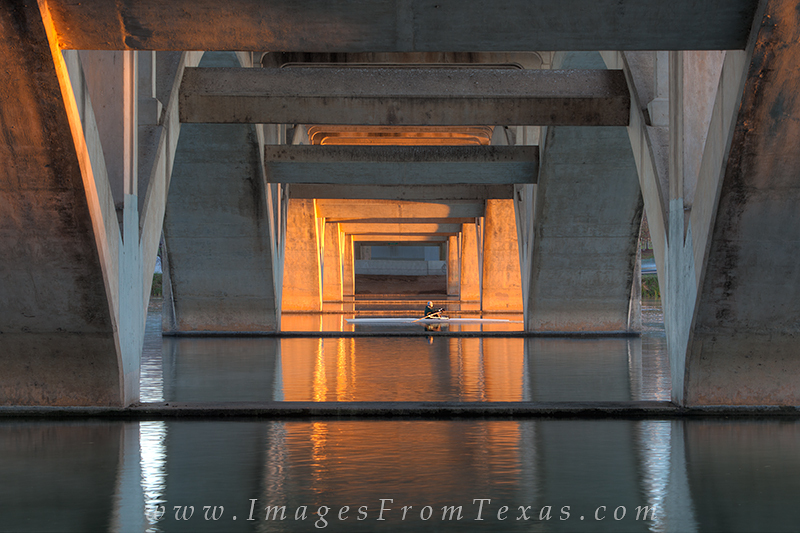 In the early morning just after sunrise, the Lamar Bridge glows orange as light filters into the morning shadows. In the distance, a sculler glides through the still water of Lady Bird Lake. Photo © copyright by Rob Greebon.